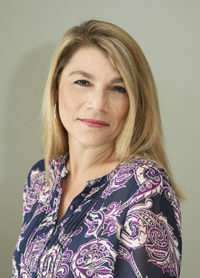 Karen Loesing LPTA, CEAS based in Agoura Hills, California performs ergonomic evaluations for many clients including the entertainment industry, insurance companies (preventative and worker’s compensation), banks, school districts and other businesses in the Los Angeles and Ventura region. Karen Loesing LPTA, CEAS, The Ergonomic Expert, carries more than 25 years of experience in the office-related injury and physical therapy field. Working in Physical Therapy orthopedic clinics has provided Karen with experience in recognizing the importance of preventative intervention when it comes to office work. The knowledge of how one works on a daily basis is crucial to treatment. Our goal is to turn the ordinary office workstation into an inviting environment that not only encourages a healthier lifestyle, but also increases productivity. Because one size does not fit all, we will educate you to have the right workstation set up. Karen performs ergonomic evaluations for both individuals and companies. She works with the entertainment industry, insurance companies (preventative and worker’s compensation), banks, school districts, hospitals and other businesses in Agoura Hills, Calabasas, Westlake Village, Burbank, Thousand Oaks, Cornejo Valley, Encino, and more.